This dish looks and tastes like summer. The vivid color of the veggies, the freshness of the herbs and the brightness of the lemon make for a healthy and delicious side during the hot summer months. I think the corn would be tasty grilled if you have the grill on already…it helps to not heat up the kitchen. (I also like to utilize the burner on our outdoor grill.) I used shelled beans from the farmer’s market and fresh basil from my garden. Also, I did not have canola oil so I used vegetable oil and it worked great. My husband asked what exactly succotash was, so I looked up the history. Pretty interesting. 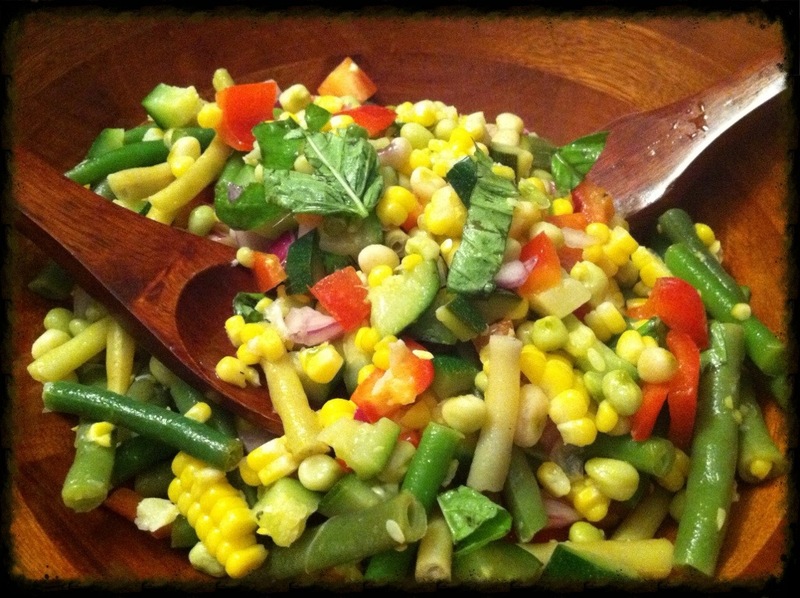 There are many ways to prepare succotash. What’s your favorite?